Urban Milan is the ultimate source for news about health. Visit our Health section for information on medical treatments, nutrition information, etc. 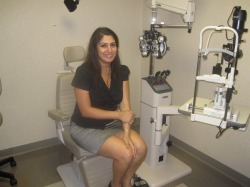 I have been thinking about having LASIK eye surgery for a very long time. I am one of the many "unhappy" contact lens wearers who hates wearing glasses, but is just as equally unhappy wearing contacts due to dry eyes at night, inability to sleep in contacts and constant eye infections.